State Senator James Holzapfel (R-New Jersey) wants to push a law through that allows for police to seize and search mobile phones in order to pinpoint if phone activity—talking and/or texting—contributed to an accident in anyway according to Star Ledger. 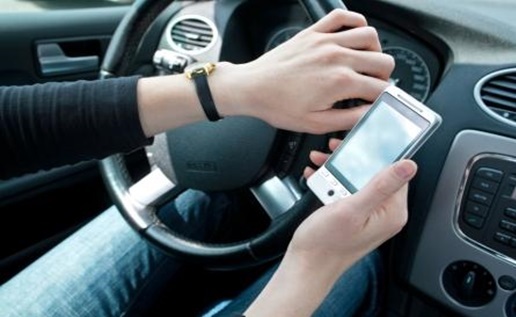 The law would also increase penalties for phone use while driving. The specifics of the law is that if the driver is involved in an accident resulting in injury, damage, and/or death the police can take the driver’s mobile phone and check the history to see what happened within the time of the accident. Not only that, but police could check phone records with carriers in the case a phone is cleared. As it stands, law enforcement would need a search warrant or driver permission to check the phone. In either case, the information gathered is available to be used in the report on the accident. Anne Teigen of the National Conference of State Legislature said that New Jersey would be the first state to actually have the law if Governor Chris Christie (R) signed off on it. That’s not to say that this is the first time this has occurred. In Hawaii, a similar bill was passed in 2009 and was pretty vague in explaining the law’s conditions of confiscation. Needless to say, Hawaii and former-Governor Linda Lingle (R) kicked the bill. Senator Holzapfel brought the bill up in late May and it has been pending before the Senate Law and Public Safety Committee since. Anne Teigen of the NCSL mentioned that several states have made it difficult for police to snag phone records in a matter similar to what Holzapfel’s law proposes. As it stands, NJ has some of the strictest mobile phone use while driving laws in the U.S, however it still remains an issue with 1,840 crashes attributed to handheld mobile phones—807 of those being injuries and six being deaths.